Doctors could soon determine if patients have tuberculosis in less than 10 minutes with a simple breath test being developed by a local startup company with technology from the University of New Mexico. Avisa Pharma Inc., which licensed the testing process from UNM in 2010, and has been working to develop and market it, conducted its first field test on patients in South Africa last fall. The trial, which included nearly three dozen people in a region where co-infection with HIV and tuberculosis is common, produced rapid results that in some cases were even more accurate than standard sputum smear tests, said Avisa President and CEO David Joseph. A rapid breath test for tuberculosis could provide an immense boost in global efforts to combat the disease, particularly in Africa and other developing regions where tuberculosis is rampant and access to modern medical facilities is limited. A report from the World Health Organization released last fall called tuberculosis the world’s leading infectious disease killer, alongside HIV/AIDS, with about 1.5 million deaths in 2014. The organization said a new, rapid diagnostic system is urgently needed to help stem the disease, which currently infects nearly 10 million people globally. The problem is lack of a reliable testing method for early detection of tuberculosis and to rapidly monitor patient progress on antibiotics to determine if treatments are working, Joseph said. Today’s sputum smear tests generally take days or weeks to confirm disease. The results can be erroneous because the sputum samples don’t provide a full examination of the lungs. And children or patients sick with AIDS and other diseases often can’t produce enough sputum for an effective test. The breath test was originally developed by Graham Timmins, a UNM professor of medical chemistry and toxicology, and Vojo Deretic, chair of the Molecular Genetics and Microbiology Department. They created a urea-based drug that turns to carbon dioxide when it comes in contact with bacteria. That happens because a lot of bacteria in the lungs contain an enzyme that breaks down urea to absorb the nitrogen and other elements in it, leaving carbon dioxide behind. The drug acts as a biomarker for the enzyme. Patients breathe the compound in and, when they exhale, the carbon dioxide levels are measured. The compound can detect the presence of bacteria anywhere in the lungs, making the breath test more accurate than culture-based sputum samples, which examine only limited regions of the respiratory tract, Joseph said. Since 2010, Avisa has built a portable device to measure carbon dioxide levels as patients breathe in and out. The laptop-sized machine is fairly simple to use, making it ideal for remote, rural locations, said David Karshmer, vice president for technology development. The company now has a prototype, which it used in the South Africa trials, and, by midyear, Joseph expects to send the design to a contract manufacturer in Texas. Avisa is now preparing for a large, clinical trial for approval by the U.S. Food and Drug Administration and regulatory agencies in other countries. That trial, which would likely take place in summer of 2017, would include up to 1,000 people in the U.S., Europe, China and South Africa. Once that trial concludes, it could take up to a year to receive FDA approval, potentially paving a path to market by 2018, Joseph said. 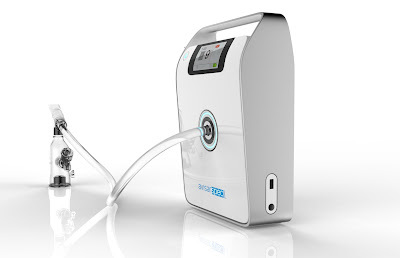 At that point, Avisa would initiate more trials to apply the technology to detection of other lung diseases, such as cystic fibrosis and chronic obstructive pulmonary disease. That diversity in potential market applications has helped attract venture investment in the company. Avisa has raised about $8 million in private equity to date, including a $4 million round of venture investment that closed last year. It’s now raising a later-stage, $10 million round of investment to carry the company through to its clinical trials. Santa Fe-based Sun Mountain Capital – which manages the State Investment Council’s $150 million co-investment fund for direct investments in startup companies – has contributed several million dollars to Avisa Pharma, said Sun Mountain managing partner Brian Birk. The company now employs seven people at a 2,000-square-foot office in Santa Fe. It expects to ramp up its workforce over the next year in preparation for the clinical trial.